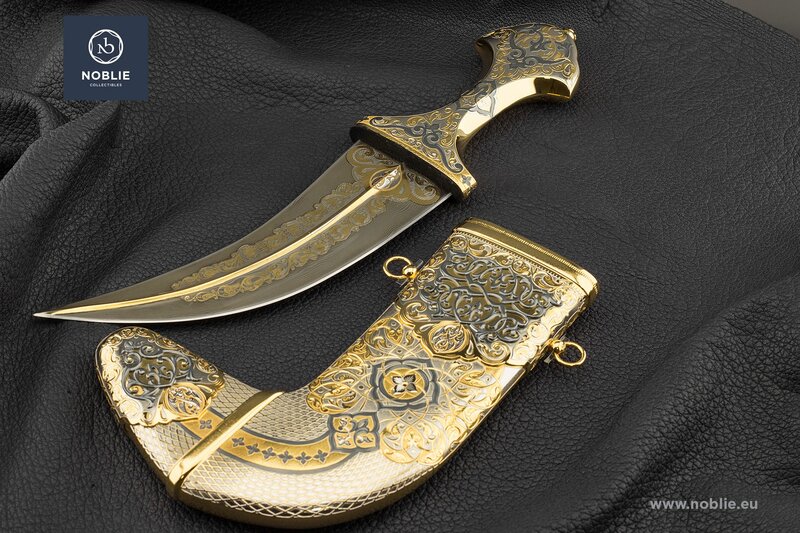 Noblie / Catalogue / Daggers / Dagger "Jambiya"
Produced by traditional methods of metalwork and decoration: forging, etching, notching, polishing, engraving, nickel plating, gold plating, blackening. 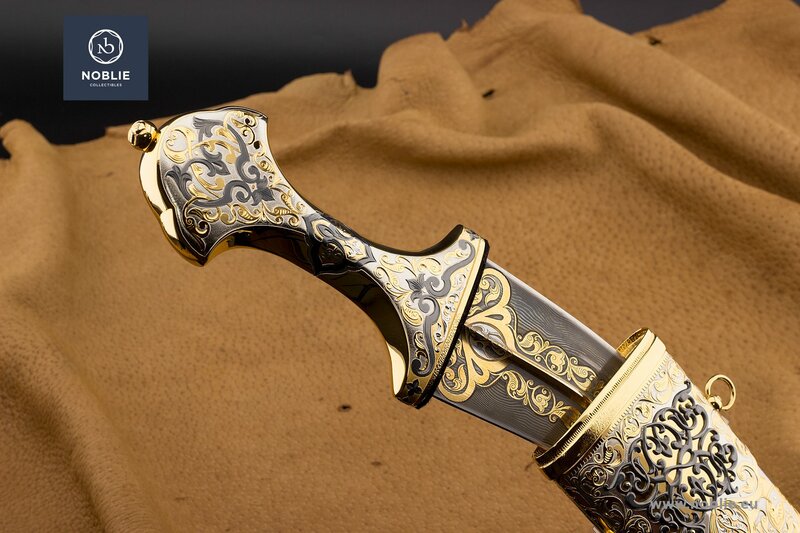 Blade is made of Damascus steel with specific pattern. 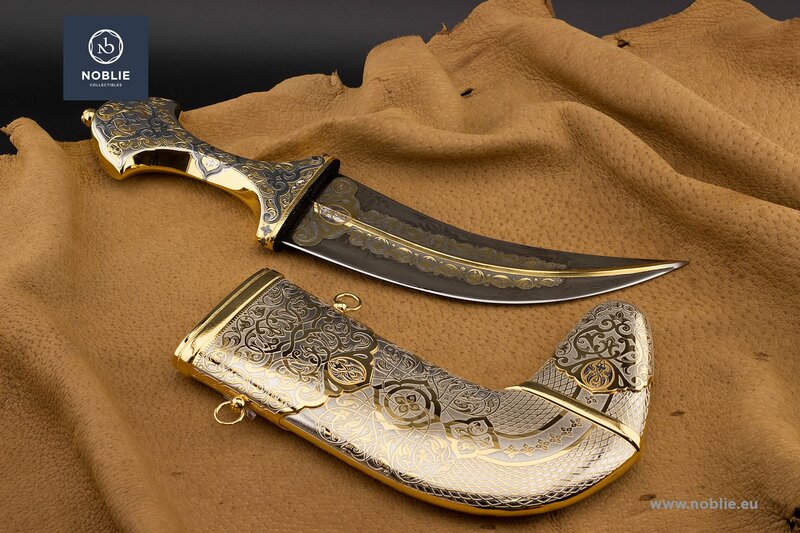 Curved up in the traditional Yemen knife making style. 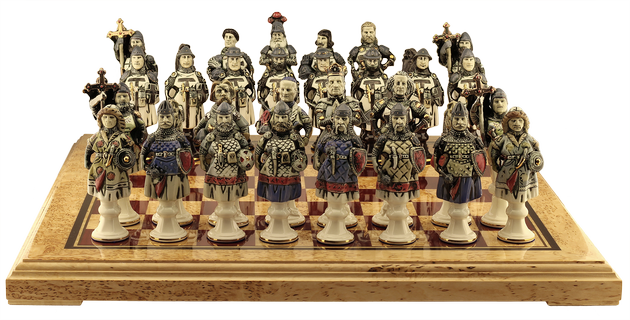 Both sides placed golden medial ridge that goes towards the point. Eastern ornamental engravings. Entirely metal made handle with distinctive extended guard and pommel and narrow grip. Decorated with engraved and gilded ornaments. The scabbard is all-metal forged. 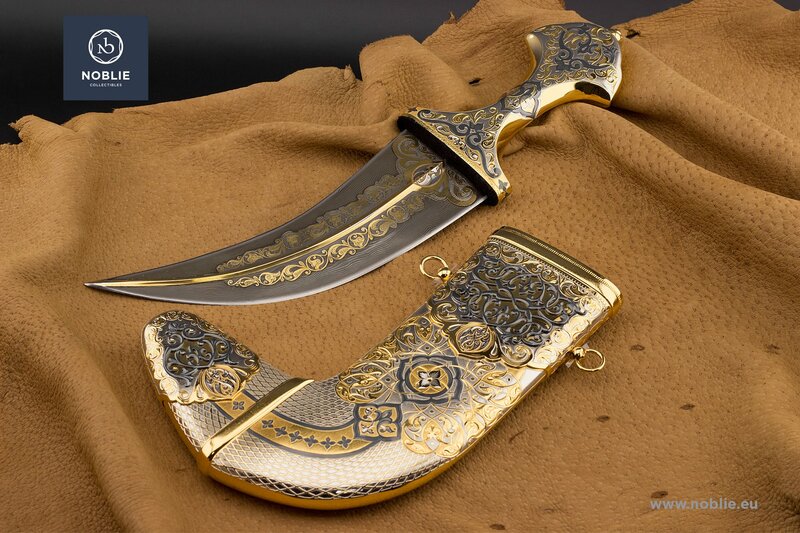 According the Yemen tradition where it is originated from, the scabbard is hook shaped. Decorative locket and chape. Dividing golden band on the angle curve. Two hanger rings sideways on the locket. Very rich adornment of fine engraved and gilded ornaments, mostly of plants and flowers.